A citrus solvent and detergent based liquid gel spot remover for oil, grease, tar, gum and other oily spots on carpet and fabrics. 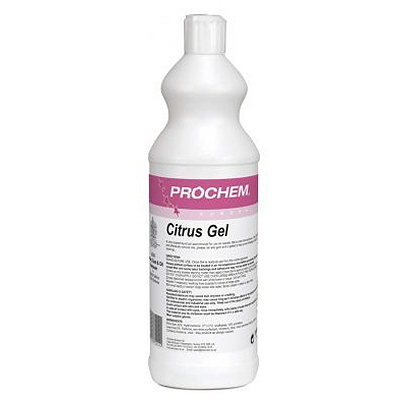 Citrus Gel can be used safely on many spots and stains and is formulated to work on the fibre surface avoiding problems to the latex backings which commonly occur with other citrus based solvents. White gel with citrus fragrance. Sold in 1 Litre bottles.